The Economics Department is pleased to welcome four new members to its department. 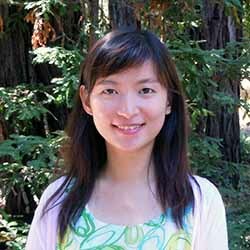 Assistant Professor Chenyue Hu joins our department in summer 2016. Chenyue completed her Ph.D. in economics in 2016 at the University of Michigan and earned a B.A. in economics in 2010 from Fudan University. Her research interests are in international economics, macroeconomics and financial economics. In particular, her dissertation studies the interplay between international financial flows and world trade patterns. In Chenyue's job market paper, she examines the effect of industrial structure on equity home bias at both industry and country levels. Additional papers focus on sovereign debt and firms’ capital structure. Chenyue will be teaching Econ 131, International Financial Markets and Ph.D. elective, Econ 241C, Advanced International Finance in the coming year. Assistant Professor Jeremy West joins our department in summer 2016. Jeremy earned his Ph.D. and B.S. in economics from Texas A&M University in 2014 and 2008 respectively. Jeremy worked as a postdoctoral scholar at the Massachusetts Institute of Technology from 2014-16. His research focuses on applied microeconomics, public economics, energy and environmental economics. Much of his work examines household decisions relating to personal motor vehicles -- in short, what cars do people buy and how do they drive them? -- and the role of fuel economy policies in shaping these decisions. More recently, Jeremy’s research has expanded to studying automobile production as well, examining how environmental policies and energy markets affect new vehicle manufacturing. In addition, Jeremy is currently partnering with electricity utilities and nonprofits to conduct randomized experiments to evaluate household behavior in residential electricity consumption and the adoption of home energy efficiency technologies. Jeremy will be teaching Econ 170, Environmental Economics and masters elective Econ 259B, Public Policy Analysis in 2016-17. 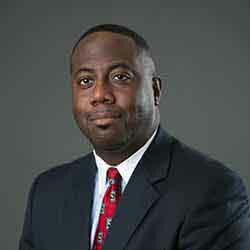 Teaching Professor Kevin Jones joins our department in summer 2016. Kevin earned his DBA in accounting from the Robinson School of Business at Georgia State University in 2013, MBA from the Merrick School of Business at the University of Baltimore in 2001, and B.S. in accounting from the Moore School of Business at the University of South Carolina-Columbia in 1994. He also carries professional certifications as a Certified Public Accountant (CPA,) Certified Management Accountant (CMA) and Chartered Global Management Accountant (CGMA). He arrives to UC Santa Cruz with a breadth of experience from the private and governmental accounting sectors, from the accounting and finance divisions in large publicly-traded companies such as General Electric, George Pacific and Yum!Brands, and most recently, Kevin was an assistant clinical professor of accounting with Drexel University’s LeBow College of Business from 2013-16. 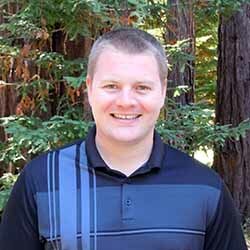 Kevin will be teaching in and leading the department's popular accounting path. Hayley Mears joins the Economics Department in summer 2016 as the department's M.S. job placement and undergraduate field studies coordinator. Hayley brings an excellent blend of education and experience to this new position. She earned an M.A. in education and counseling and pupil personnel services credential from San Jose State University, and a B.A. in sociology and dramatic art from UC Santa Barbara. Hayley has served our campus and undergraduate students as a college advisor with Cowell, Colleges 9&10 and Kresge Colleges. 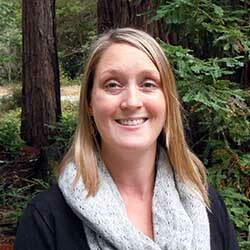 She previously managed job placement and launched job fairs with the campus' Career Center and previously with Santa Cruz City Schools. We welcome Hayley to our team.